I have a huge crush on the Boston Marathon. And if you’ve been following me, this blog, or the podcast for long, you knew that already. I basically have two goals when it comes to running, and one of them is to qualify for and finish Boston. But this historic race holds a special place in the hearts and minds of many runners. So for this episode of the podcast, I asked some fellow members of the running community to wax poetic about the race we affectionately refer to simply as Boston. Joining me on today’s run are a number of awesome people that I simply asked to tell me about the Boston Marathon. Either what the race means to them as runners, why they want to run it someday, what their experience was like running the race, or anything else. It was that open ended, and the responses were awesome. A big thanks to everyone that joined me on this run today (Nicki, Bill, Sean, Stephen, Mark, Shawn, Stephanie and Emily). I appreciate you guys so much…. 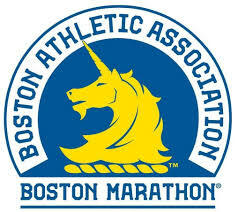 Simple Question: What Does the Boston Marathon Mean to You as a Runner? Did You Witness History in the Making?